Are you ready for 500 bhp under your right foot? The next version of the Porsche 911 Turbo has enough grunt to pull City Hall all the way to the beach. It is powered by an all-new 3.8 liter, direct injection, twin turbo flat six, delivering 500 bhp and driving all four wheels. The new Turbo returns 0-96.5 kays in 3.7 seconds (three tenths quicker than the current Turbo) and has a top speed of 312 kph. To put that in perspective, when I drove a Lola T430 F5000 racing car, it had 550 bhp but ran out of breath just before 300 kph, and you couldn’t take a passenger and luggage! Externally, the only changes are chrome headlight surrounds, restyled fog lights and new wheel designs. And as if we cared, Porsche says that while improving performance it has also managed to cut CO2 emissions and fuel consumption by about 18 percent. Quite frankly if you can afford to buy this car, you can afford to buy the petrol for it, no matter what it costs. The presumed price for the Porsche is 24 million baht. Sorry, no change. I also see that VW have completed the negotiations to take over Porsche, after Porsche’s ill-advised and finally failed takeover bid for VW. Talk about the tail trying to wag the dog! It is being said by VW that Porsche will continue as an independent marque, but in the long run it will not. The individual spirit that became Porsche will be lost in the corporate parts bin. 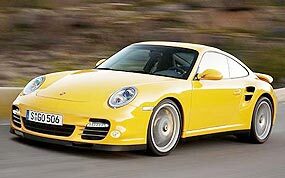 The best that can happen is that one day VW will spin off Porsche and people with the same vision as Dr Porsche and his son will take control. Otherwise, Porsche will be another lost auto manufacturer. And all that reminded me of the best Porsche joke I’ve ever heard. A lady walks into a Porsche dealership. She browses around, then spots the perfect car and walks over to inspect it. As she bends over to feel the fine leather upholstery, a loud fart escapes her. Very embarrassed, she looks around nervously to see if anyone has noticed her little accident and hopes a sales person doesn’t pop up right now. Last week I stated that the Issigonis Mini is usually thought of as the first transverse engined car, but it wasn’t. I asked what was the first? The answer was DKW (Dampf Kraft Wagen) in 1931. Quite a few of you got this right, but it was Ivar Hoyem from Norway who was first in with the correct answer. So to this week. What car is this? It had a side valve engine which developed 10 bhp. It had a top speed of 42 mph (67 kph). It had 4 wheel cable operated brakes. It sold over 375,000 and its designer was knighted. So what was it? Chris Locke is attempting to regroup his garage and offers for sale a 1973 MGB GT (restored but Toyota 4AGE motor) B. 550,000 ONO; 2005 BMW 323 auto B. 990,000 firm; 1969 Alfa Romeo 1750 GTV complete restoration B. 695,000 ONO; 1967 Volvo 122S daily driver B. 245,000 ONO. Contact Chris on 081 834 3260. Now the second manufacturer team has pulled the pin on F1, with BMW crying ‘enough’ to follow Honda out of motor racing. However, BMW will still be running in the World Touring Car series (in which they are front runners) as opposed to F1 where their results this year have been abysmal. I had a chat with Anothai Eamlumnow, the publisher of ASEAN Autobiz magazine, at the Bira International Circuit the other day. We discussed, amongst other things, the future of motor sport in Thailand and Asia, and as far as he was concerned, he was quite sure that motor sport would continue to grow - but that growth would be at a different level compared to before. Motor racing would continue because it is a very pleasurable field of personal endeavour. However, with decreased funding, some drivers would have to shelve their ambitions and compete at lower (affordable) levels. I think that is a very believable scenario. This is where categories like the Honda Jazz one-make series and the similar Honda Civic formula will be the way to go. Expenditure can be predicted and budgeted for. Close competition is there, it is fulfilling for drivers and spectators alike, and will carry Asian motor sport through tough times. 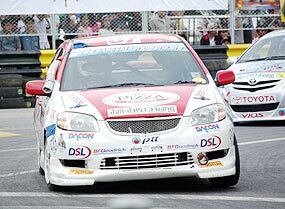 Another formula is the Asian 1500 Touring Car series, for which cars like the Toyota Vios can be modified to compete at a reasonable budget. I was at the Bira circuit myself to track test another type of racing car, which could also be the start of an affordable formula. This was the Westfield S2000. A Lotus Super 7 clone, running a Ford Duratec 2 litre engine and gearbox and equipped with road tyres. With 190 bhp on tap and weighing around 600 kg, this is a good enough performance package to suit most drivers, and one in which skills can be honed cheaply. Being on road rubber meant that the car would move on its tyre footprint, and correction of oversteer added to the fun. A fully built-up turnkey Westfield is around 1.5 million baht, but kits are available from 300,000 baht upwards, and a racing Westfield kit would be around 600,000 baht. In the UK, there is already a Westfield formula, and the drivers in it say, “We believe no other race championship offers such a variety of opportunities to both novice and expert drivers alike, provides as much fun for as little cost and has such close racing.” The championship is run to a controlled specification based on the lightweight SE race chassis and body with only very limited modifications. Typical races can be seen on the Westfield website (http://www.wscrda. co.uk). The local agent is Julian Dobrijevic who can be contacted through his website www.westfield-sportscars-thailand.com. It is a cheap formula. You can drive it as daily transport, and you don’t need a rich uncle, or corporate sponsorship. It is worth thinking about. Should we be making batteries? The end of the oil era is approaching. The pimps at the pumps who raise prices through the OPEC cartel are losing their stranglehold as the battery/electric era comes closer. Last week we featured the new Nissan Leaf, and there is also the Mitsubishi iMIEV and the Chevrolet Volt, all due to be released within the next couple of years. Real world electric cars from mass producers for the mass markets. Now initially they will be expensive. Remember the first mobile phones and the first personal computers? Only the rich could afford one - and now everybody has at least one of each. Here is a name to remember - Shai Agassi. This gentleman runs a company called ‘Better Place’, a US-based company that plans to roll out the infrastructure necessary to recharge electric cars at home, at work and at battery-swap roadside stations. A visionary or perhaps just an optimist, he believes that any country switching to manufacturing electric vehicles and lithium batteries will have a head start in many ways. “A billion electric car batteries will need to be made - that is the biggest industrial opportunity in the world today,” he states. He predicts all new cars would be electric within two decades, and he also said most countries are well behind the US, China, Korea and Japan in embracing a potentially lucrative industry. With that potential, other countries, especially ASEAN countries which have lower wage and infrastructure costs should be seriously considering this option. Agassi’s company plans to roll out the infrastructure across any country which has plug-in electric cars. Australia is the third country in its sights after Denmark and Israel. In many ways like the oil companies, Agassi will not be selling electric cars, but plans to make its money through selling electricity via recharging outlets that look like parking meters. The second wing of its business is to establish swap-and-go battery exchange stations. Similar in appearance to existing service stations, they will allow depleted electric car batteries to be swapped by driving over a robotized pit. The claim is that the swap for a ready-charged battery takes less than the time usually taken to refuel a petrol engined car. The Better Place business model predicts electric cars will be about six cents a kilometre cheaper to run based on 2008 fuel prices. However, battery swap stations depend upon a manageable number of battery sizes and configurations, and electric car manufacturers building standardized battery access bays and connectors. That is something that conventional cars, which have had electric starter motors and batteries for more than half a century, are yet to achieve. It is the old Beta versus DVD technology again, with now with the addition of Blue Ray.